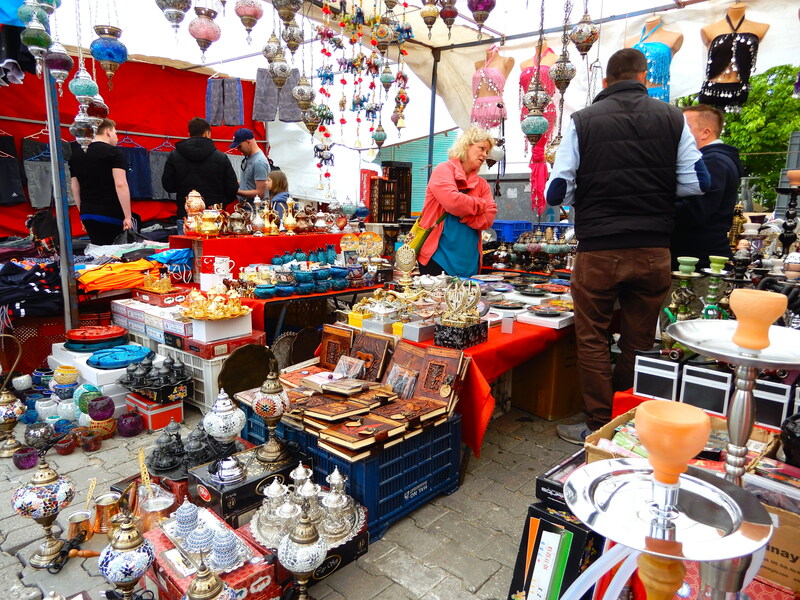 The Manavgat market in Turkey is biggest on a Monday (and apparently the biggest market in the mediterranean), sprawling wide with designer labeled clothes, bags, and a few souvenir stalls thrown in between. If you ‘really really’ love your brands you’ll probably love this Monday market. You will likely end up dreaming about Michael Kors handbags by the time you’ve finished as there seemed to be no end to them here – I have no idea whether they are genuine or not though. You’ll see plenty of Nike, Adidas etc T Shirts for five euros. The stalls are many and often repeating the same things over and over. Nike T-shirts and various other brands for one Euro each, new with tags!! …and then after two hours of market meandering it rained, hard. Some of the stalls started to pack up, loading vans and messing up the landscape of the market, making it hard to get your bearings – great!